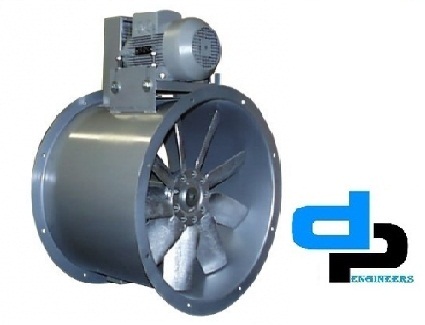 Backed by the perfect state-of-art-infrastructure, we are able to offer Axial Flow Fan this Ventilation System. 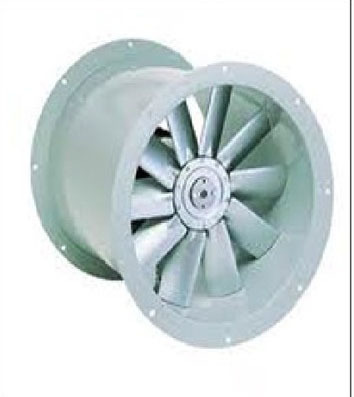 It is normally used to exhaust the waste and polluted air away from the premises in a rapid manner. 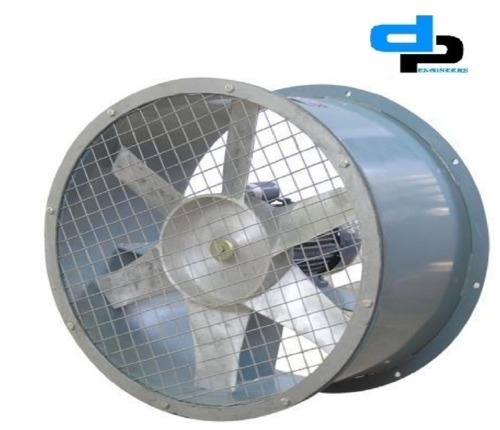 The fan that we manufacture is protected with steel cage type of protection which protects from any other external disturbances. 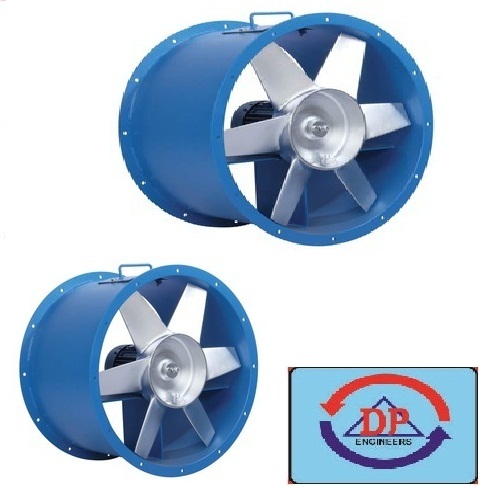 These fans are used at Factories and Kitchens. 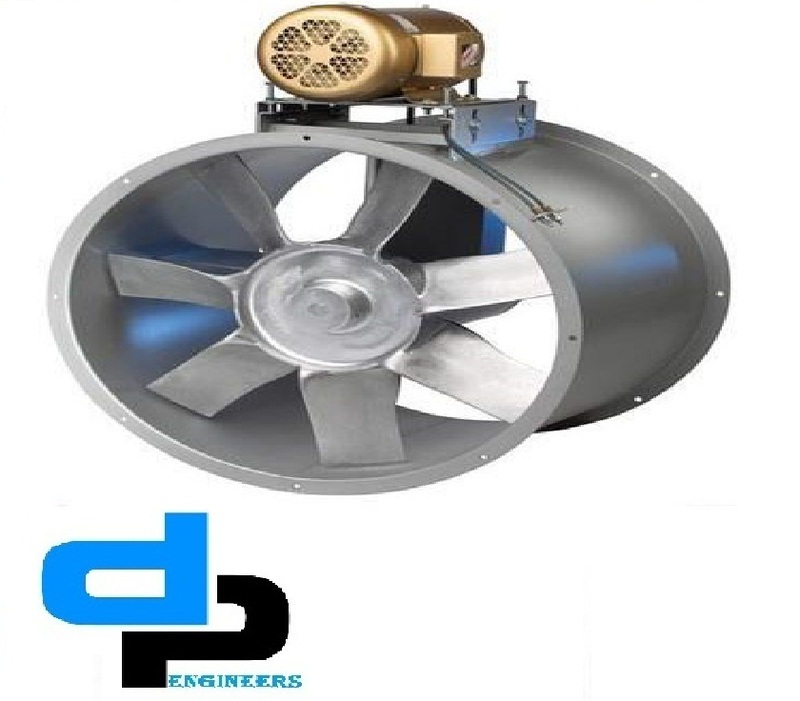 D.P.ENGINEERS offers a most economical and efficient installation for the industry such as thermal power stations, fertilizers, heavy engineering, chemical, textiles, food, general, paper and sugar pharmaceuticals etc. 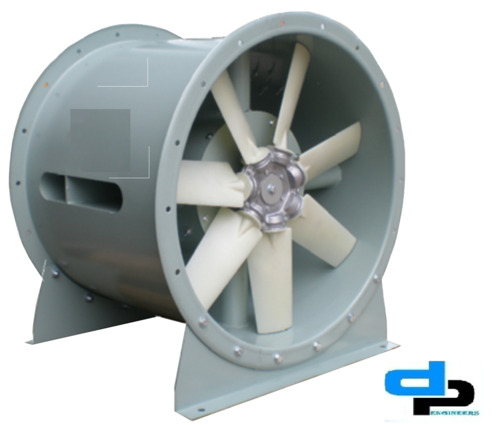 All axial fan casings are rolled and flanged from heavy-gauge mild steel and hot-dip galvanized after manufacture. 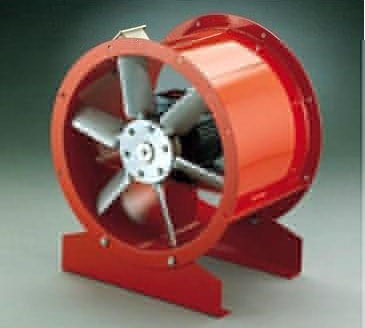 The standard casings enclose the impeller and motor completely and weatherproof external terminal boxes are standard. 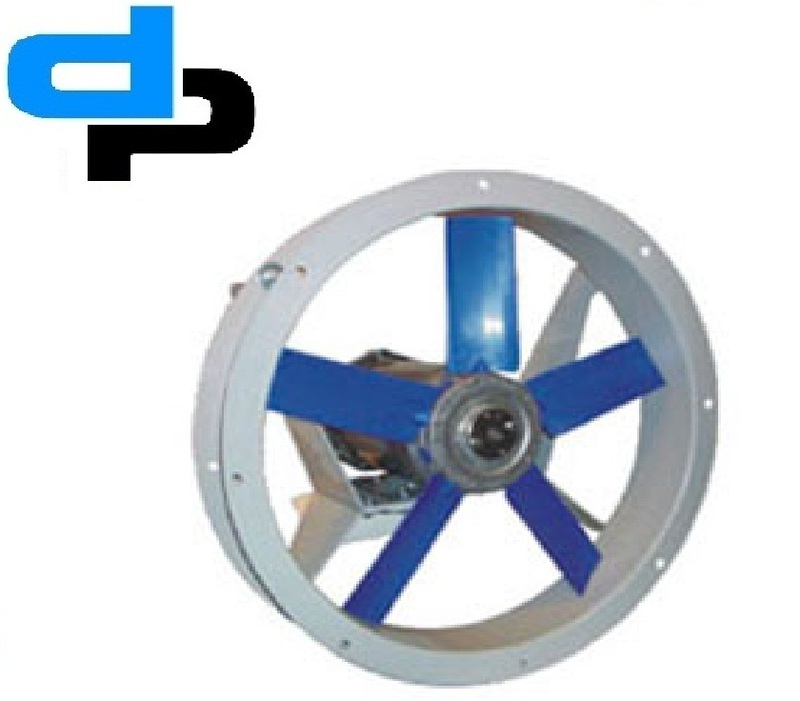 The full range of sizes and speeds can be provided as direct-drive for applications where the fan must be installed vertically. 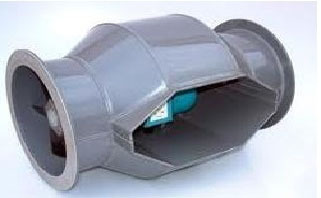 The casing is designed with integral outriggers to facilitate vertical mounting. 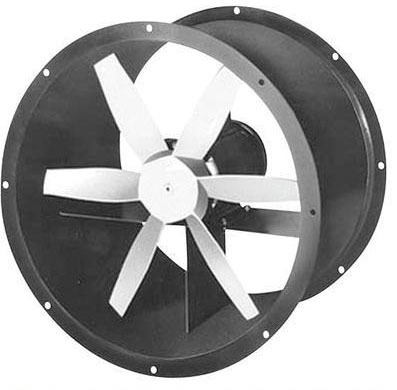 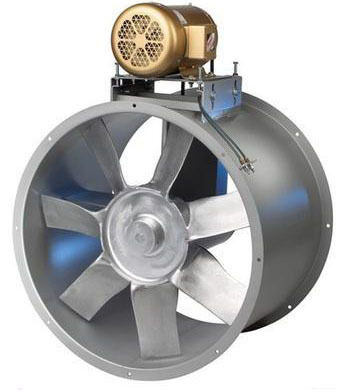 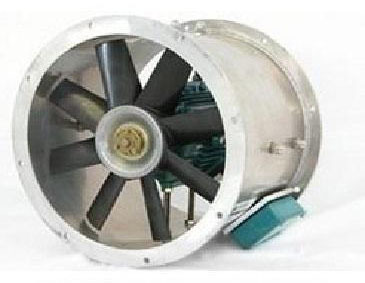 We offer a wide range of Industrial V-Belt Axial Air Flow Fans / Blowers that are used for Ventilation plants, Furnace exhaust, Electrical cabinet cooling, Process ventilation, Pressurization, General ventilation, Humidification, Fumes, Cooking oven exhaust , General ventilation for any type room or area, Marine service, Dust or smoke removal, Cooling towers, Spot cooling of heat generating equipment where large volumes of air are required, Paint spray booths, Dryer oven exhaust systems, Roof excavator etc. 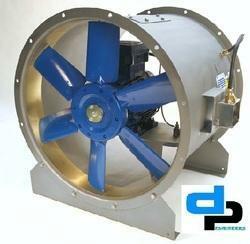 We have been widely known in the market for providing an excellent range of Tube Axial Flow Fans to the customers. 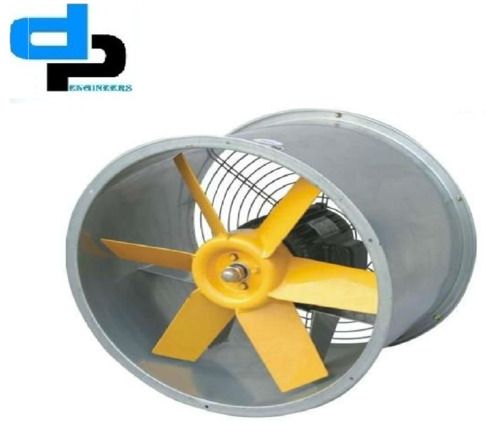 These Axial Flow Fans are widely used in the fan industries, in order to provide the required airflow for heat & mass transfer operations in several industrial equipment and processes. 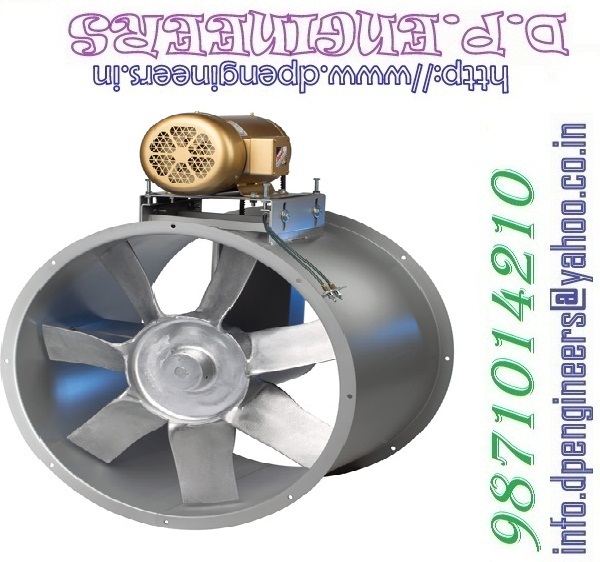 Moreover, we make sure to timely deliver the ordered products at the clients premises within the stipulated time frame. 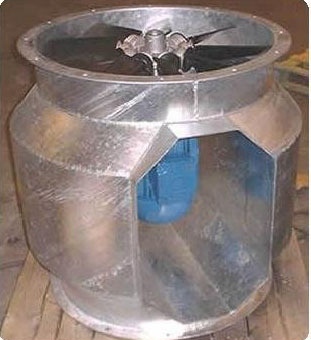 Fan hub shall be fabricated of die formed stamped aluminium casted airfoil blades. 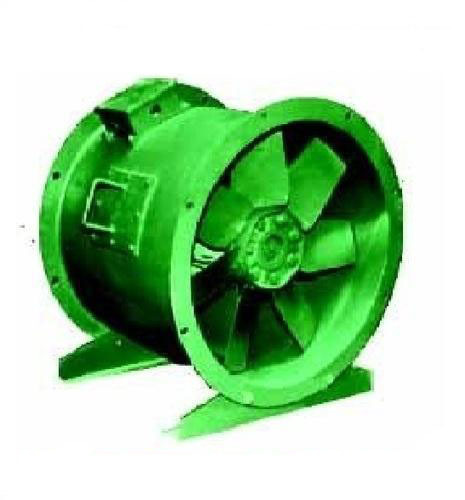 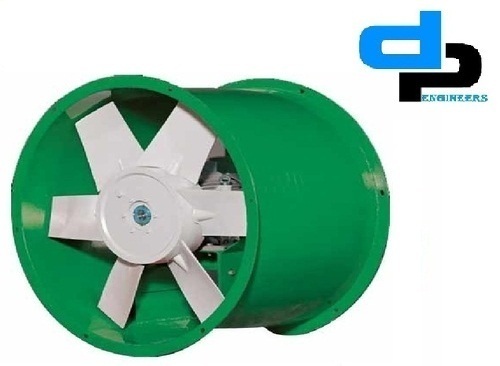 Our company is well known in the market for the wide range of ventilation fans which we manufacture and the Green House Fans are high on demand in the market and they help in removing the unwanted gases present and these products have been made using the best technology available in the market. 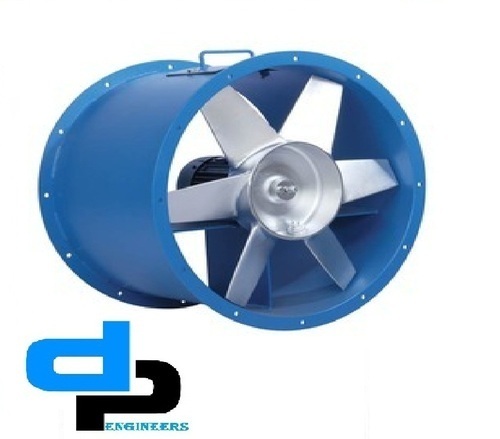 These products have been priced at very reasonable rates in the market and they offer a high performance to the customers and they have a very sturdy construction. 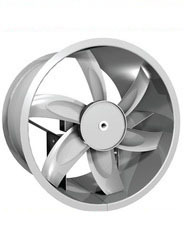 Size upto 1120mm Wheel Dia. 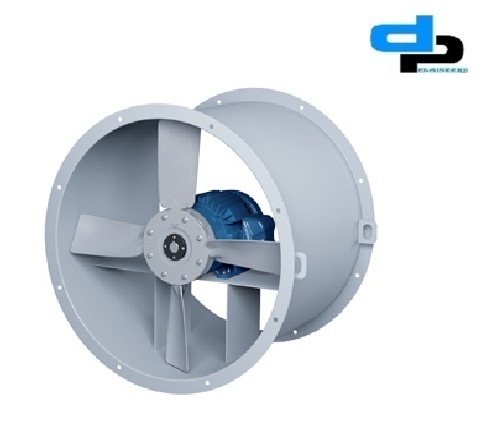 Outfitted with a sound infrastructure and highly modern machinery and tools, we present a top class range of Positive Pressure Smoke Protection Fan to the market. 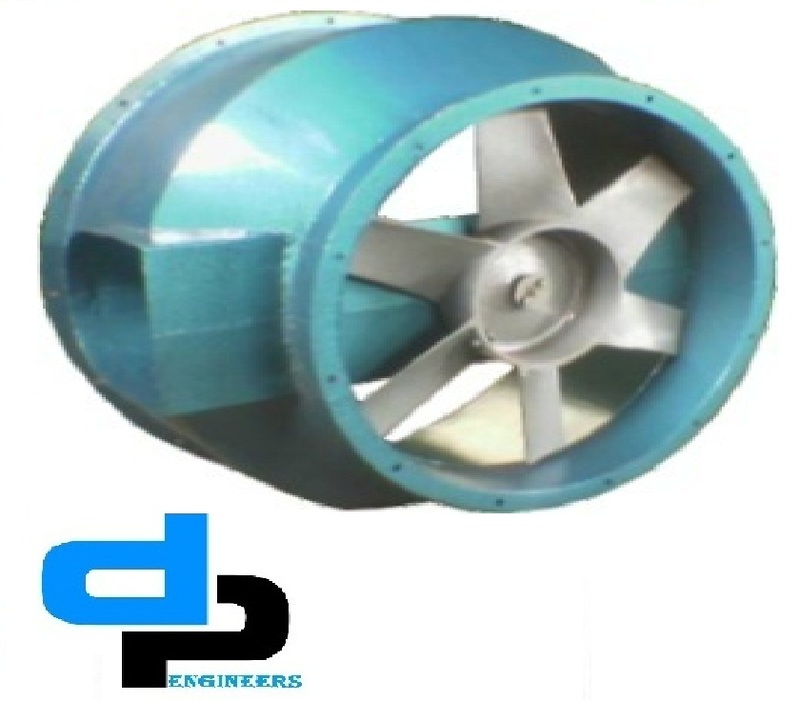 Acknowledged and accepted by our clients for their high finish, operational fluency and trouble free operations, these are provided by us at rock bottom prices. 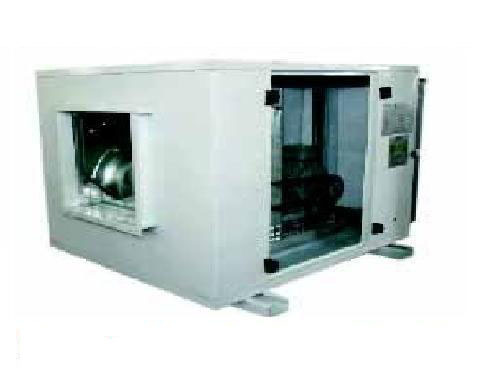 Apart from this, we deliver them in high quality packaging material to ensure flawlessness.